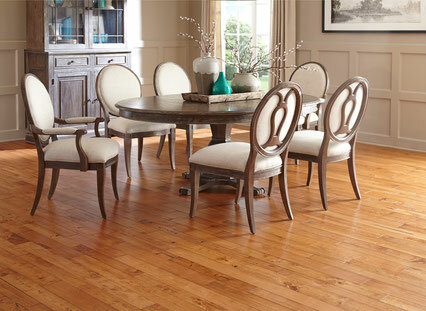 Our Piedmont Collection offers a great value and all of the characteristics of a natural hardwood floor. It features beautiful color variation, small knots, and even an occasional worm hole; all of which are part of our natural proprietary grade. If you are looking for a true value and the natural beauty of a real hardwood floor, look no further than the Piedmont series.